Transnational Literacies: “What a child doesn't receive he can seldom later give.” - P.D. James. “What a child doesn't receive he can seldom later give.” - P.D. James. Christmas Morning 2012. I stood in the living room of a modest home, wearing a green Santa's Elf hat; next to me was a man dressed as Santa. We were encircled by three little girls under the age of age 8 and a 10-year old boy. I helped Santa untie a large Hefty bag full of gifts. The children watched us, wide-eyed. 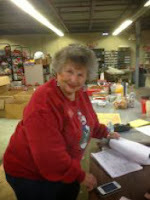 It was my first Christmas as a volunteer elf for Santa's Helpers Inc. in St. Louis, MO. Santa's Helpers Inc. was founded by professor Rita Swiener in 1968. She explains that she heard about a family in need who had "fallen through the cracks" of social services during the December holiday season. Professor Swiener organized a collection of food and gifts for that family. Forty-four years later, she is still devoting tremendous energy to the cause of helping families in need during the holidays. She and others at Santa's Helpers Inc. work all year round to prepare for that year's holiday season. On Christmas Eve and Christmas Day of 2012, the organization's volunteer Santas and elves visited over five hundred families in the St. Louis region. I pulled the toys out of the bag one by one, and I helped Santa read the labels before he handed them to the kids. Santa's Helper's Inc. policy is that each child receives five items: an age appropriate book, toys and a Santa stocking. After Santa distributed several toys to the girls, it became clear that we did not have any toys for the boy. His face immediately fell. My heart was touched by his expression. I thought of my own children. Santa told the boy that his gifts were in our other bag, and I went out to the car to get the Santa's Extras bag. Several age-appropriate toys were inside. Years of experience have taught the organizers of Santa's Helpers, Inc. that the Extras bag is a must. Sometimes, more children than originally reported are in the home. Social workers and social service agencies provide referrals of qualifying families with a list of names and ages of children; however, sometimes a child's name and age is accidentally left off the list, or an additional child, such as a cousin or neighbor, is present in the home when a delivery is made. When we gave the boy s collection of gift-wrapped toys, he smiled. As we prepared to leave, Santa stretched his arms out and boomed "Merry Christmas!" Hugs were exchanged all around, and we were on to the next stop. Santa placed addresses in Google Maps on his phone and gave directions, while I drove. My impressions of the other visits are a blur. One home had no furniture. Another consisted of a sparse room with educational posters on the wall: counting to 10, telling the time, naming colors and shapes. At one stop, we met a family of seven in a small apartment: Dad, Mom and five young children. Every adult we encountered was caring and appreciative of our visit. Many adults and children gave us hugs. In one home, the children gave us handmade thank you cards and offered a plate of home made cookies to Santa. During our visits, I thought of the children's first days back at school in January, when each of them would be able to tell their friends they opened gifts this year. Being on an equal footing with peers can mean everything to a child. It might mean the difference between listening in class without being distracted or retreating within to nurse emotional hurts. A child's worries may seem small to others, but to that child they are enormous obstacles to learning and to becoming a self-confident person. As Professor Swiener says, at Santa's Helpers Inc. "We never turn down help." Throughout the year, beginning on December 27th, just after the successful deliveries of the current year, Professor Swiener and others begin work on plans for the following holiday season. 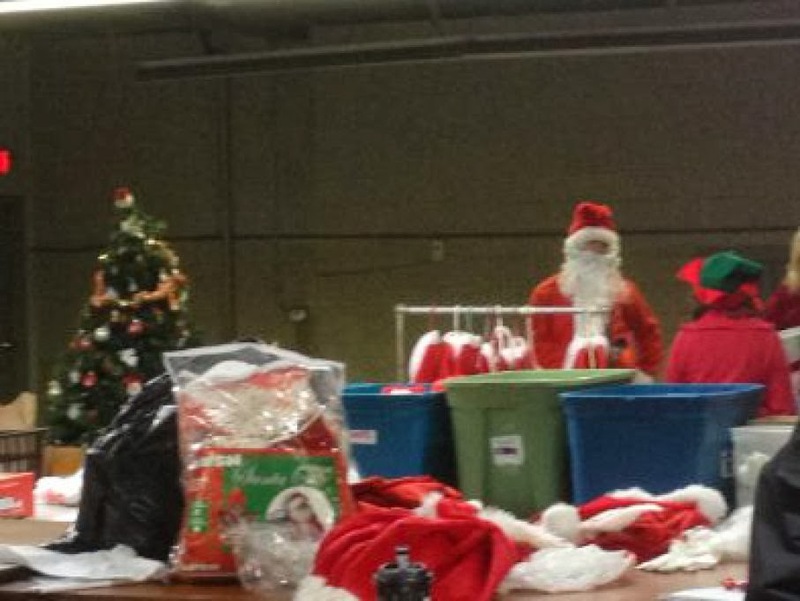 This week, in fact, volunteers will clean the warehouse, continue to organize and wrap gifts, petition for funding from local donors, plan for fundraisers and to obtain new gifts to deliver during the next holiday season. Students from St. Louis Community College have participated in service learning projects at the Santa's Helpers Inc. warehouse during all seasons of the year. On Christmas Day, a high school teacher arrived with a group of students. He borrowed a Santa suit from a rack in the warehouse, gathered his deliveries and headed out with his students to make his rounds. Another man drove in from southern Illinois. He has been coming to help for the last few years. Last year, according to Professor Swiener, a group dedicated to Jewish-Muslim interfaith dialogue participated in a Day of Giving on Christmas Day and donned Santa suits to deliver the gifts. At any point in the year, Santa's Helpers, Inc. welcomes inquiries from local groups who wish to perform a community service. Professor Swiener, who is Jewish, is motivated to provide holiday gifts to needy children due to her own memories of being a child in an orphanage. She explains that during a holiday celebration, she was offered a selection of gifts but was told to just pick one. However, she wanted two gifts: a doll and a doctor's kit. She was told to not be greedy and to only take one. Although she was later adopted by a loving family, the hurtful memory stayed with her. While she has good memories to sustain her, the memory of her time in the orphanage motivates her to make sure each child receives more than one meaningful gift when Santa visits his or her home. Santa's Helpers Inc. delivers to children of all faiths. Social service agencies refer families of all beliefs. Muslim and Jewish children may receive unwrapped gifts from conventionally-dressed visitors in recognition of religious mores. There are some who decry the materialism of today's holiday season and insist that children need to appreciate that they have food, warmth and shelter. 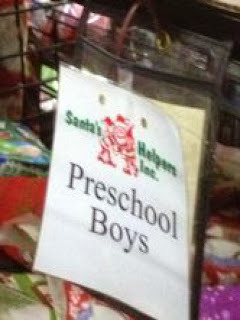 However, organizations like Santa's Helpers Inc. offer more than just material objects. The act of giving and receiving creates links within the community. A struggling family's opportunity to participate in a societal tradition that is so significant to children enables all family members to have a sense of belonging. The gifts from Santa's Helpers Inc. encourage a feeling of self-worth and self-definition in children. The goal is to create good memories that can outweigh the challenging ones that most human beings will experience. The smiles and the spontaneous hugs from the children we visited were enough for me to realize how deeply important that moment with Santa was for them. The significance of our possessions evolves during our lives. In a study titled, "Treasured possessions and their meanings in adolescent males and females." N. Laura Kamptner notes that while there is a traditional psychological view that treasured possessions in young children reflect a need for mother-comfort and emotional security, "treasured objects function in developmentally salient ways during adolescence by simultaneously mirroring the male and female adolescent self and (therefore) contributing toward the development of self-identity." No matter the age, personal possessions fulfill emotional and practical needs. As children develop from infancy through adolescence, their possessions reflect and support a growing self-identity. That is why the gifts we delivered were age-appropriate for kids between the ages of birth through 12 years old. I've always found it interesting that Professor Swiener's story about her choice between the doll and the doctor's kit reflects her essential self. As a former practicing psychologist who is now an adjunct professor of psychology at STLCC and at Maryville University, her early desire for a doctor's kit indicated an interest in healing others. As a caring individual, parent and founding member of Santa's Helpers, Inc., her youthful desire to have a doll reflected her nurturing nature. All children should have the chance to express their essential selves through play with age-appropriate toys. I've occasionally given funds to, or volunteered with, Santa's Helpers Inc., but this December was the first time I have volunteered on Christmas Day. I grew up celebrating Christmas and I know the fun of receiving Santa gifts. As a member of a family that observes Muslim and Christian traditions, I enjoy the sharing of many holiday moments. My own children practice Islam as their faith; however, we opened gifts on Christmas Eve morning and spent a wonderful day with plenty of food and treats. Spending time making Christmas morning deliveries to others, though, did not feel like charity. I felt that I was sharing; instead of only giving. When we share with others in our community, we are meeting them on an equal plane in mutual respect. We are working to build our community together. The parents and grandparents I encountered during our visits were caring people who, although currently having a rough time, were trying to keep their children safe, whole and happy so they could realize their worth. That is the most essential work we can do to build our communities. Like Professor Swiener's experience, and like me during my own lived experiences, those I encountered are now going through a rough time but will find their footing by continuing to seek work, to study and live their lives. The truth is, we all face challenges every day. Some challenges are economic; others are health-related or are due to a lack of a good education. None of us can judge what may have drastically impacted another person. What we can do is bring a little joy to someone's' life in order to create memories to feel good about. The good memories we foster in children can be sustaining. They will know that others care, and that they matter. Simple moments, simple things. They can inspire us to realize our worth, develop our essential selves and pay forward to others in equal or greater measure. Click here for more information about Santa's Helpers Inc.
Attribution: Previously published as a blog in Patch.